There's not much to write about today as I'm still in the midst of packing. I'm dragging out the packing, it seems. I really could have been done a day ago, but noooooo..... when packing a gazillion knitting books I had to stop and look through each one, becoming reacquainted with some older ones. I've enjoyed it but later on I'm sorry when I see how slowly the boxes are getting filled. Time is running short so I must finish up soon. I can reread the books again when I put them on their shelves in Calgary. 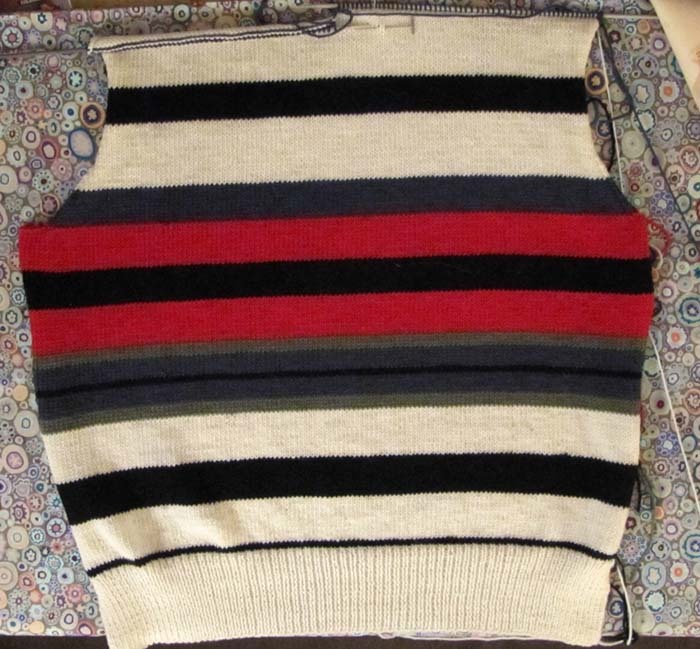 I've only been working on one knitting project lately. What a concept! 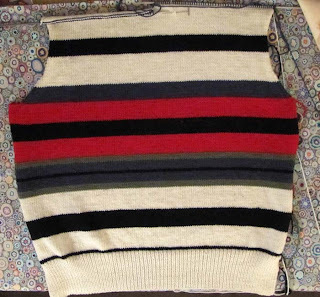 I have one more inch to knit for the back of the Paul Smith cardigan and then it's on to one of the front pieces. So far the pattern has been very well-written. I like that in a pattern. The colors are slightly yellowed in this picture. That's what I get for trying to take a quick picture indoors at midnight. Oh well, it'll have to do for now.